The anticipated start time for this year's festive celebrations around the world. Our Destiny 2 The Dawning 2017 start time page contains launch details for the US (PT), UK (GMT), Europe (CET) and other global regions. Bungie has just confirmed that The Dawning - Destiny's special festive event - will begin next Tuesday 19th December 2017 and run until Tuesday 9th January 2018. That'll give you three weeks to feast yourself silly on the new content that'll be temporarily added to the game over the Christmas period. When does The Dawning 2017 actually start though? Bungie recently switched up its reset times for the game's usual assortment of weekly updates, and so it seems highly likely that we'll see The Dawning kick off at 5:00pm GMT next Tuesday. That's all well and good for those of us in the UK, but how does that time translate around the world? To help you work out when The Dawning starts in your own corner of the world, we've dusted off and updated our trusty timezone chart for the new festive event. Snowball Fights: You'll find snowball fights littered around the in-game universe, and you'll be able to tag your friends with snowballs at the Tower and Farm social hubs. You'll even find snowball piles in Strikes - chuck one at an enemy and it'll be stunned and take a big dollop of damage. PVP: Your abilities will charge faster and point values are also being increased considerably. Milestones: You'll receive rewards for participating in PVP and Strike content during the event. Each week you'll be able to qualify for a special Dawning engram. Eververse: If you want a specific item from The Dawning, Tess's inventory will rotate weekly throughout the event. At some point during these rotations every holiday item will become available, so you can use your Bright Dust to purchase precisely what you want. 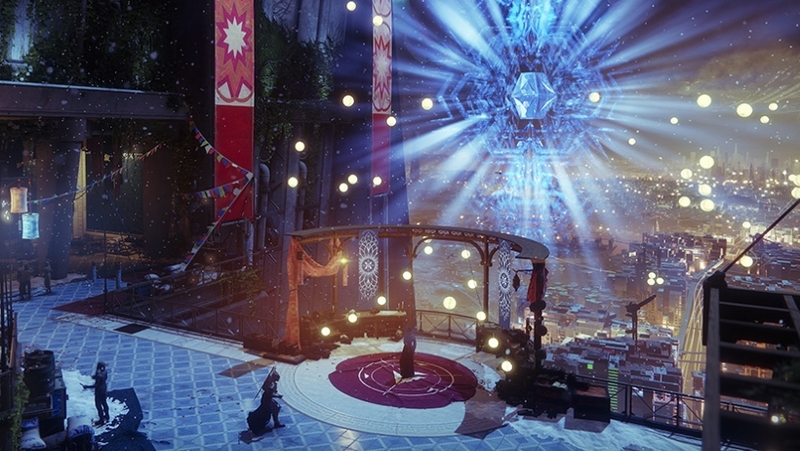 To find out more about the upcoming festive event, take a look through our comprehensive The Dawning guide. It contains absolutely everything you could possibly want to know about the celebrations and will be updated a huge amount as new information emerges before and after launch.